ELGIN, Ill. (WLS) -- A prisoner who escaped custody of the Elgin Mental Health Center - and sparked a large manhunt in July 2014 -- pleaded guilty last week and was sentenced to six years in prison. 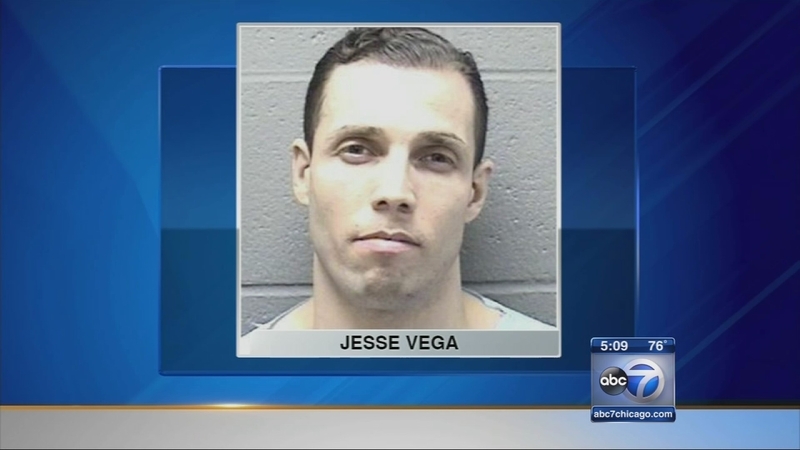 Jesse Vega escaped from a transport vehicle en route to court in Lake County. He was charged with escaping from a penal institution, a felony. At the time of the escape, Vega was in custody on domestic battery charges for assaulting his girlfriend in Gurnee in 2013. A jury found him guilty on those charges in July and he was sentenced to 25 years. After his capture, Vega told a court that he's ""hearing voices." Based on that, the judge ordered another mental fitness evaluation.